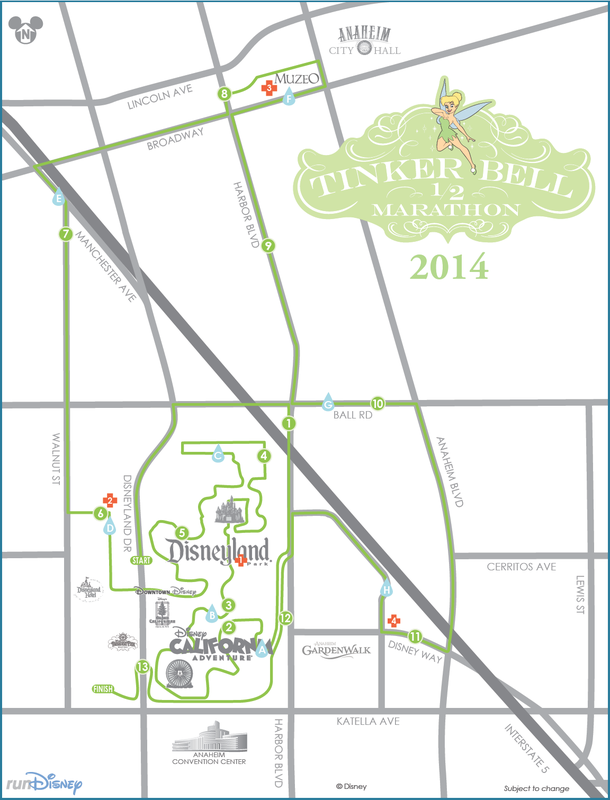 Are you running the Tinkerbell Half Marathon in Disneyland? Have you felt left out with all the hype from the WDW Marathon Weekend? Don't worry, we've got a post just for you! While none of us are running this year, I (Katie) experienced the Tinkerbell Half Marathon 2013. Here are ten tips to get you ready for this awesome runDisney event! Wear a costume! Everyone else will be, so join in on the fun! This family ALWAYS runs in costume, sometimes matching, sometimes similar, sometimes it's on our own. And don't feel like you are bound to Tinkerbell. You can dress in whatever costume you want--we've seen Elvis, Superheroes, and (of course) every Disney character from the big cheese to the least known. If wearing a costume, ALWAYS take it on a test run! Especially if you intend to use your wings! Buying fun stuff to run in at the Expo is sometimes unavoidable, but wearing your new purchase race day with out testing it out while running can be extremely uncomfortable. Last year at Tink, I bought race sleeves to match my skirt. I had never run with them and it left a very painful rash on my arms for the rest of my weekend at Disneyland. OUCH!!! Sad face. So if time allows, run with your costumes!!! While training, train for everything! Run in all kinds of weather. Hot, cold, rain, or shine. You never know what you will get in Southern Cali. Especially now that Tink is moving to May in 2015. On average, May should be pretty mild, but you never know! Also, run all kinds of courses. Tink's course is a little different than Disneyland's Half Marathon. It starts in the opposite direction, going north and begins going up hill slightly and over two over passes before you enter the parks. After the parks, it is relatively flat for the rest of the course so you can fly with your wings and pixie dust to the finish. We tend to arrive at these events a couple of days early to attend the ever growing Expos and get in some park time before the big race. After buying all our goodies, we will have a nice lunch somewhere either in Downtown Disney or in the park. 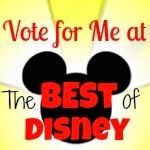 I can recommend ESPN Zone in Downtown and Café Orleans in Disneyland. We then like to stroll leisurely around the parks riding some rides and taking in all the sites, sounds and beautiful mouth watering smells that they have to offer. We also always try to find something that we haven't seen, done or noticed before on previous trips. Snapping pictures in various places and poses is a must for us as well! After "taking it easy" in the afternoon it's time for carb loading. A favorite of mine and the family's is Naples in Downtown Disney. Great for getting those carbs before race morning! There are also multiple restaurants near the park that have incredible food. It's then time to call it an early night. Tink starts EARLY!!! It started at 5:30 last year!! So, that meant that I was up around 2-2:30 preparing and getting a snack. YIKES!!! It's ALWAYS a great idea to consult your race guide or talk to runDisney personnel. Have a race plan, and don't let others discourage your plan. Some races, I plan to run for fun and take lots of pictures. Other times I run for a PR. Some people will tell you do not try for a PR at a Disney race. It is possible, if that is what your plan is! It is your race to run, so run YOUR race--don't let others tell you otherwise! Celebrate the ladies! Disney is one of the few races (though they are growing) where women outnumber the men, and Tinkerbell is geared toward women. Men can run too, but it's a great time to leave the family at home and have a girl's weekend. Sounds like a great bachelorette party to me! Know before you go. Review all the info runDisney has sent you about where to go, the expo, the race itself, and all other events. You can pick up a race program when you pick up your bib (they will likely give you one), so no need to print everything We are all planners, so we like to know when we are going to the expo and may even make some dinner reservations before we arrive. My biggest tip for running Tink is, HAVE FUN!!! Someone in my corral last year brought "pixie dust" aka, glitter, and sprinkled it over everyone. And at every mile!!! Once you're there, stop worrying about pacing, corrals, and PR's cause if your worried about all that stuff that you have been obsessing over through training, you will miss all the beauty and magic that Tink and all runDisney events offer it's participants. So, have some faith, trust and pixie dust for 13.1 miles and smile pretty for cameras, spectators and most importantly for yourself. Finishing is a HUGE accomplishment and smiling while you cross that finish line, being proud of your feat, and high fiving Mickey while tossing some "pixie dust" is one feeling that you will never forget! "Faith, Trust, and Pixie Dust"